Surprisingly there is no visitors centre near Temple 1, Ryōzen-ji, the most common starting point of the Shikoku pilgrimage. 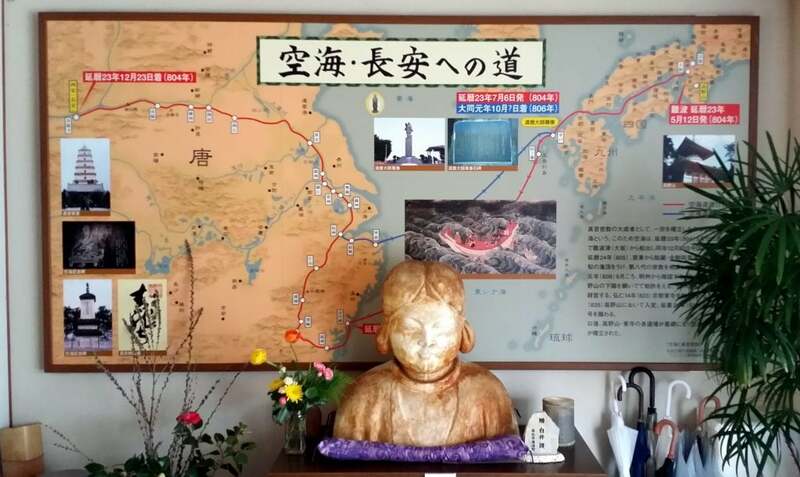 In fact, the closest thing to a museum dedicated to the pilgrimage can be found between Temple 87, Nagao-ji and Temple 88, Okubo-ji in Kagawa prefecture. The Maeyama Ohenro Kōryū Salon (前山おへんろ交流サロン) (“a place where pilgrims interact”) opened in November 1999 and has a very large collection of henro (pilgrim) related goods. According to the staff, more than 350 items and 150 books and other material are on display and/or stored here. The oldest guidebook is from 1687, the oldest stone path marker is from 1781 and there are many items from the 19th century. Admission is free and the facility is open from 9 am to 4 pm every day, but the last entry is at 3:30 pm. A handful of staff manage the facility, answer questions, and provide explanations about the displays. Many pilgrims stop here on their way to Okubo-ji for some tea, to use the washroom, and/or perhaps to chat with other visitors. Across the street is a michi-no-eki (road station) where you can buy vegetables or have a meal at the café. Just inside the entrance, there is a visitor guest book, which shows the number of how many people have come here since it opened fifteen years ago. The total number of visitors is more than 200,000 people, of which approximately 30,000 are those who walked the pilgrimage. Between Apr 1, 2016 – March 31, 2017, 448 foreigners visited the facility of which 298 were walking henro. As you walk in the main door, you will see a map of the route that Kūkai took when he went to China in 804 (red line) and when he returned to Japan in 806 (blue line). In 804, a storm blew his ship off course and that is why he landed so much further south than the point from which he departed from in 806. In the main room, there is a large topographical model of the island with little huts marking the places of each of the eighty-eight temples. If you press a button by the photo of the temple, that place will illuminate on the model. Behind the model, there is a machine from which you can get some hot tea. Visitors are free to use the sofas and chairs. Inside the exhibition rooms, there is a display about a priest called Gyōki Bosatsu (行基菩薩) (668-749) who performed various public work projects for the local people such as constructing roads, river embankments, and reservoirs. He also was the overseer of the building of the great Todai-ji temple in Nara. It is said that he founded thirty of the eighty-eight temples. There is a display panel about Mr. Mohei Nakatsuka, (中司茂兵衛) who completed the pilgrimage 280 times between 1845 (age 22) to 1922 (age 78). He erected 240 stone markers along the entire pilgrimage route. A large 1:40 model of the temple, Seiryū-ji (青龍寺) where Kūkai studied in China. Maps of each of the 47 prefectures in Japan that have a small box attached to them containing fuda (name-slips) of pilgrims. There is also a world map with the title, “International” and in that box, there are fuda from people from such countries as the United States, Australia, Switzerland, Brazil, and Korea. 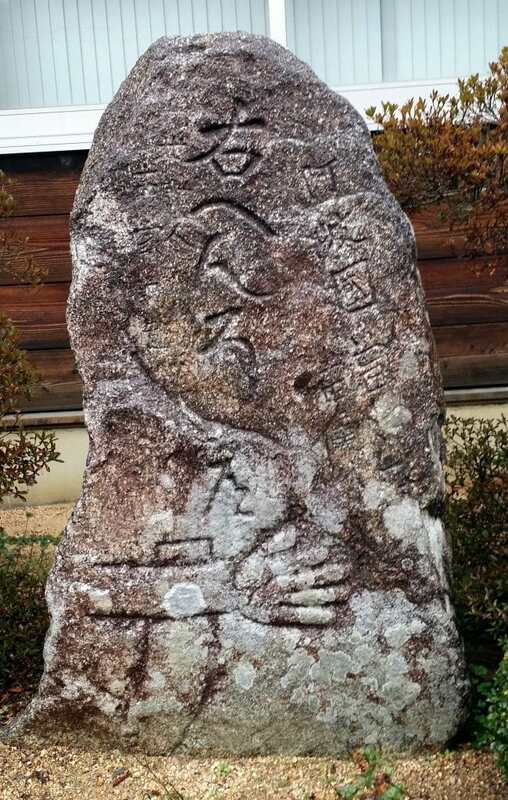 Touch-panel computer screens that list the legends about Kōbō Daishi from around Japan. There are no tales about him from Okinawa, but there are three from Hokkaido and four from Kagoshima. 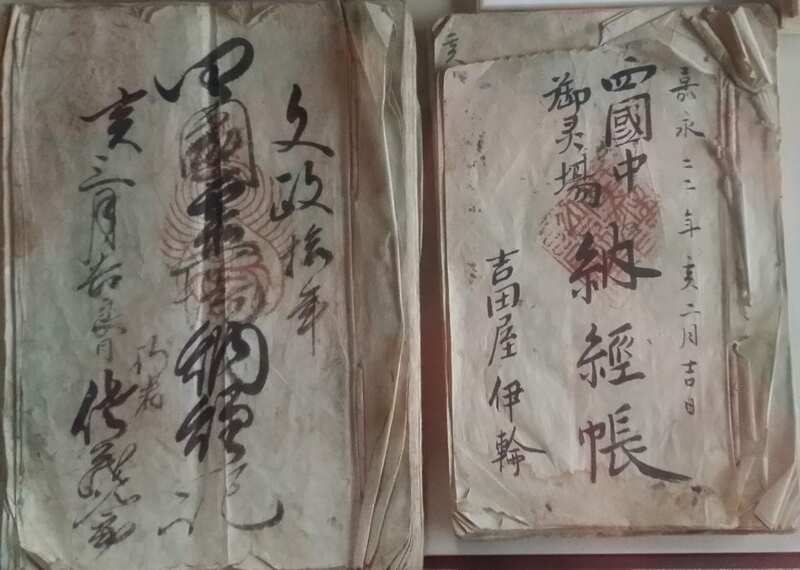 Pilgrimage books (nōkyōchō) including one which has totally red pages. This is from someone who made the pilgrimage over 300 times and used the same book over and over. Wooden boxes that hold paper fuda as well as straw bales (tawara) that were stuffed full of fuda and hung in people’s houses as a protective amulet. A display about Emon Saburō (衛門三郎) from Ehime prefecture whose eight children died as a punishment against Emon when he got angry with Kōbō Daishi and smashed his begging bowl with a broom. There is a lot to see and much to learn at the Ohenro Kōryū Salon, but it is very unfortunate that it is in such an inconvenient location. The best way is to go from Tokushima is by car, which will take about 75 min from the Tokushima bus/train station area. Take the expressway to Wakimachi and then head north on Route 193. The closest train station at which only the local train stops is the unmanned Zoda station that is 8 km away. This article was first published in the April 2015 issue of Awa Life.